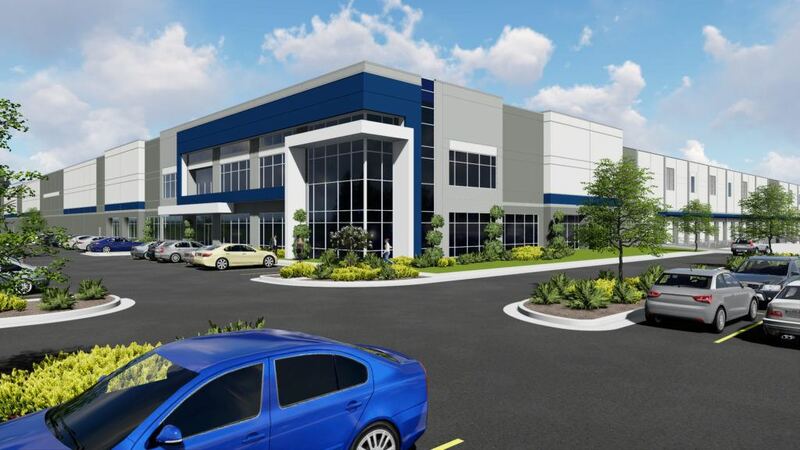 CT Realty is expanding its metro Atlanta portfolio in a big way, with long-term plans for a 350-acre project in Fairburn, Ga.
CT Realty, through its affiliate Port Logistics Realty, is already underway on the first phase: 213 acres along I-85 between Palmetto and Union City. Port Logistics Realty, based in Dallas, is a partnership between CT Realty and Xebec Realty, both Southern California development firms. River Oaks Capital Partners is also funding the project. The partnership bought the land for the development earlier this year. The project could grow even larger, depending on demand. The developers have an option to build-out an adjacent 145 acres. Overall, the project cost nearly $60 million. It could take several years to complete. Buildings will start at roughly 1 million square feet. The first phase broke ground in March. It features a more than 1-million- square foot spec-building, which is started without tenants signed to leases. The building could be complete by December. Developers believe the first phase could be significantly leased by the end of this year. They are calling the project Palmetto Logistics Park. It stands across from a CSX intermodal facility. The timing seems good. Atlanta has seen higher than expected absorption, according to Colliers International-Atlanta. Almost 4.7 million square feet of warehouse and distribution center deliveries occurred in the first three months of the year. More than 5 million square feet of industrial tenant move-in activity was projected for the second quarter, Colliers said. Data for the April to June period is due to be released this month. Those numbers will be closely watched. For landlords, more of the same would be welcome. CT Realty and its affiliates apparently believe Atlanta’s fundamentals look solid into 2018. And, with good reason. Big leases have recently included retail giant Amazon.com Inc., which in June confirmed it will open a new fulfillment center in Jackson County, Ga., creating up to 1,000 jobs. The 850,000-square-foot Amazon project would help fill Jefferson Mill Business Park.